If you’ve ever done any barbecuing, grilling or other outdoor cooking then you’ll realise that there are many circumstances where a good pair of heat resistant gloves really come in handy. Standard oven gloves rarely cut it as they are made for indoor cooking and many times can’t handle the heats that grills and outdoor ovens reach. 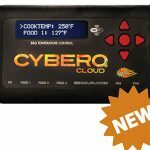 Finding a quality pair of heat resistant gloves that can manage all your outdoor cooking needs can be tough due to the huge range of products. In this article, we’ll make finding the best heat resistant gloves for you as easy as possible with heat resistant glove reviews and recommendations from the entire team at King of the Coals. Heat resistant BBQ Gloves are a great accessory that can make your outdoor cooking much simpler and safer. 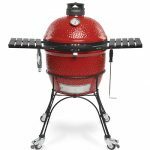 For more information on other necessary BBQ accessories, check out our list of the 10 most essential BBQ accessories. There are many different materials used in heat resistant gloves. Each material or material combination has their own pros and cons which we will explain to help you decide the best heat resistant glove for you. Leather is the classic, traditional material that has stood the test of time and is still regularly used today. It tends to be one of two layers, the other is generally a cotton interior lining. This mixture gives a quality glove that is both heat resistant and comfortable. Leather has problems though. It is only heat resistant. 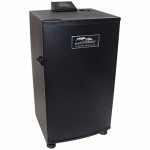 It isn’t quite heat proof so if you’re holding onto metal grills or moving around hot coals or logs for too long you’ll start to feel the heat. We’ve found that leather gloves are least likely to fit from of the gloves we’ve tested. They don’t stretch, can be bulky and the cheaper ones will likely feel quite uncomfortable, especially compared to a silicone or fabric heat resistant glove. Leather also has a problem with shrinking and becoming tough and uncomfortable if not used for a while. As leather is considered a living material, it requires some attention and continual use to wear the gloves in. Silicone is a synthetic compound that has a huge range of uses. It’s usually heat resistant and looks a bit like rubber. It can be used in sealants, medicine and insulation and makes a great material for heat resistant gloves. It’s usually fully waterproof and the gloves are generally dishwasher safe, meaning silicone gloves are very versatile and incredibly useful. Whilst silicone does have many positives, it does come with some negatives as well. 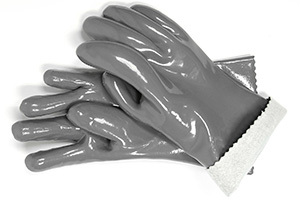 Most silicone gloves will not be safe at temperatures above 400 – 500°F and some can only reach 250°F. So, if you’re cooking on a pizza oven, grill or even a campfire silicone might not be the best gloves as the temperature will likely exceed the maximum temperature the gloves can reach. But if you’re doing some low and slow barbecuing then silicone will probably be the best gloves for you due to their many ease of use qualities. Fabric is a very lose term but there are many different combinations of highly insulated fabrics that are very similar and are used in heat resistant gloves. When we talk about fabric, we are talking about aramid fibers. These are a class of fiber that have incredibly high heat resistive properties and are incredibly strong. Types of aramid fibers are used in firefighter body suits and even in bullet proof vests used by the military. But the technology has filtered down to allow them to also be used in gloves for your barbecue. These fabric gloves will provide the best heat resistance out of the three types of material, usually managing to keep your hands safe up to temperatures of 932°F (500°C). 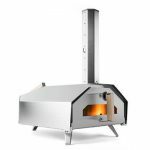 That means you’ll theoretically be able to put your hand on the inside of the Uuni 3 pizza oven that we recently reviewed and it should be fine. (We highly recommend NOT doing this.) These gloves will usually offer a perfect fit and will offer a more breathable material than leather or silicone to keep your hands as fresh as they can be. The drawbacks of these types of fabric gloves is that they aren’t waterproof. If that isn’t a problem for you, then we’d highly recommend fabric gloves due to their superior heat resistance. The Artisan Griller BBQ Gloves are almost the perfect heat resistant glove. They are available for less than $30, they’re lightweight, incredibly well insulated and waterproof. If you’re looking for a glove that does everything very well, then these are the ones to buy. 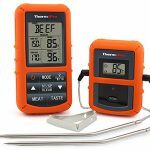 These gloves have been designed specifically for barbecue pits in mind, but can be used for any type of outdoor cooking, and more. 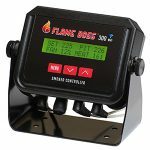 Not only do they work great for moving burning logs or coals and other high temperature tasks, but they also work great for low temperatures. If you’re having to deal with lots of ice in your backyard ice chest, then these are also fantastic for that. The gloves themselves are 14 inches long, meaning that your wrist and part of your arm are protected as well as your hand. 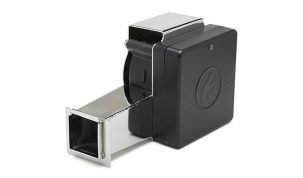 They have a soft cotton interior lining that’s very comfortable and keeps your hand cool. The fit is relatively loose, which makes putting them on and off much easier than other gloves we’ve tried and was surprisingly useful. The outside of the gloves is finished in a premium neoprene coating, which is a type of rubber coating that helps the heat insulation and gives the gloves waterproofing and more flexibility. The Artisan Griller BBQ Gloves can’t quite match the heat resistance of some of the other gloves we’ll mention later but for general barbecuing needs these will be about as good as you will find and are the King of the Coals favorites. 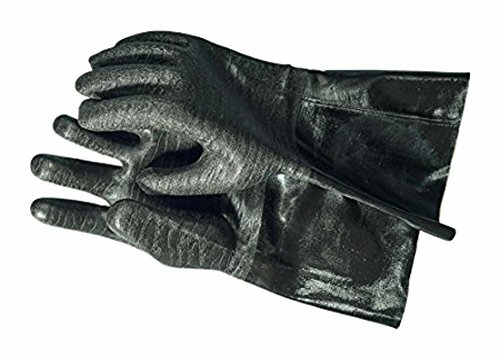 If you’re looking for a great pair of gloves that aren’t going to cost you a small fortune, then Bruella have a set of BBQ glove that are (almost) perfect for you. These are a fabric glove that are made from a three layer aramid synthetic Kevlar which is commonly found in body armor and firefighter body suits. This means that they are easily able to withstand heats of 932°F (500°C) and are one of the highest rated heat resistant glove on the market. Whilst a lot of the other cheaper gloves available today will remove features and quality, Bruella seem to have added them. The gloves are 14 inches so comfortably cover your wrist and part of your forearm and are said to have a 2.3 inch longer sleeve than most other heat resistant gloves. They also have small cotton loops for hanging them on your grill and to help take them off. The fit is quite tight which gives you a lot of dexterity and you lose none of the ability to move freely whilst wearing them. 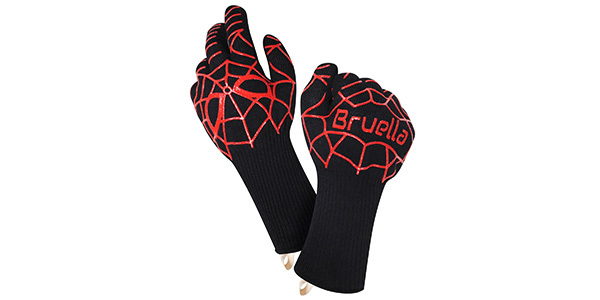 The problems with the Bruella BBQ Gloves are small. They aren’t waterproof and we found we prefer a looser fitting glove to this. This is purely subjective so if you like a tight fitting glove then this is ideal. 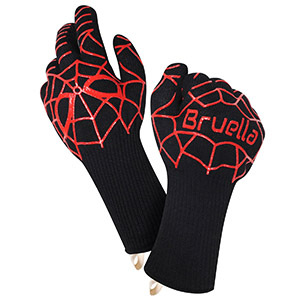 Overall, the Bruella BBQ Gloves are incredibly well made, flexible and very versatile. But what makes them stand out even more is the price. You’ll generally pay around $15-$20 for a pair. It gets even better though. With each pair, you get a lifetime warranty where you can return them, no questions asked! The Ekogrips BBQ Gloves are another great pair of gloves that are made from water resistant silicone and are heat resistant up to 425°F. What these gloves have that make them stand out from the others is that they are completely waterproof. You can fully submerge them and they will not lose their structural integrity due to being made from silicone. This also means that they are fully dishwasher safe which means they are very simple to keep clean. They aren’t as good as the other two gloves we’ve looked at for simple heat resistance but are good for silicone gloves. You’re not going to be able to move around coals or burning logs, but for basic grilling and smoking tasks, these gloves will be fine. One problem that we found with them is that they feel a bit bulky and don’t give you the same freedom as the Bruellas, for example. They are also a bit smaller than the others we’ve tested and don’t give the same wrist and arm protection. 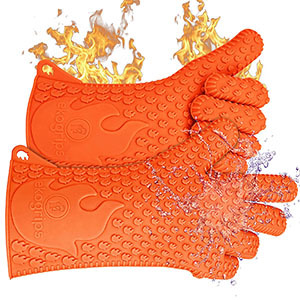 Despite these small problems, the Ekogrips BBQ Gloves are a great pair of gloves to buy if you’re looking for a pair of silicone, waterproof gloves that will cover all your basic barbecuing needs. As we’ve said before, there are many many options when it comes to heat resistant gloves. Any of the above are well worth a purchase but if you want something a little different then keep reading. You may know Steven Raichlen of the website Barbecue Bible. 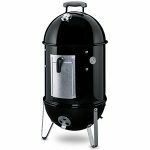 He’s a well know BBQ personality and has released many books on barbecuing, including Project Smoke, that made it onto our list of the best outdoor cooking books. He knows a thing or two about barbecuing and has released his own pair of heat resistant BBQ gloves. They are fairly basic and by far the cheapest gloves we tested but are good enough for us to be recommending them. For less than $10 you’ll get a pair of lightweight and comfortable rubber gloves that can withstand temperatures up to 248°F (120°C). Despite the low temperature rating you’ll comfortably be able to move food around in your smoker with these gloves. Being rubber means that they are completely waterproof and are easily washable with a sink of soapy water. These are a great alternative to the more substantial heat resistant gloves we’ve mentioned before. They would be idea for handling food, rather than hot coals or metals. Any good pair of welding gloves make for great heat resistant gloves for outdoor cooking. Due to the materials used they are incredibly versatile and can be used for much more than welding and heat resistant gloves. 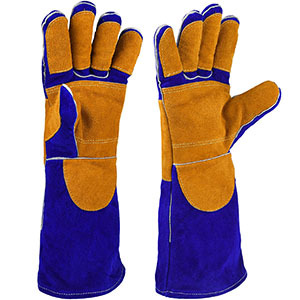 You can easily use them as general safety gloves, gardening gloves and general gloves for working. The NKTM Leather Welding Gloves are a perfect example of affordable welding gloves that are great for a range of uses. They are made from a premium leather which gives you a lot of protection from rough objects, heat, sparks and flames. The leather is also soft enough to give a good amount of flexibility that make using the gloves a lot easier. You’ll get a lot of use out of a pair of welding gloves and the NKTM are one of the best pairs of gloves for the money due to the huge versatility, solid quality and low price. 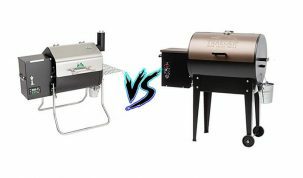 If you’re not one for gloves and manually moving food or coals around with your hands, then a solid pair of BBQ tongs (or 2) will make for a great alternative. 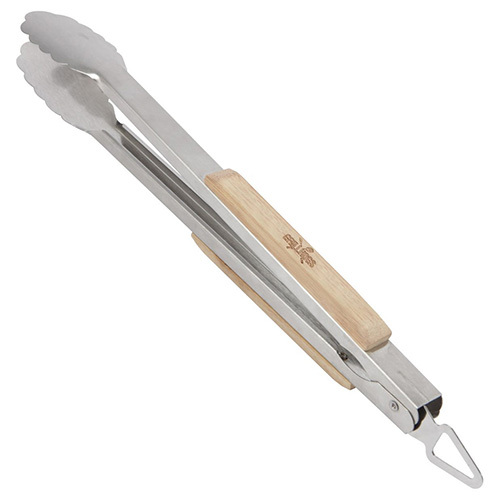 A good pair of tongs need to be made from a quality metal, have a spring loaded hinge and an insulated handle. 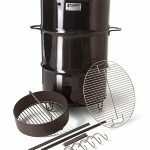 We’d highly recommend the Grillhogs 16 inch Oak BBQ Tongs as they have all these features, a great build quality and are reasonably priced. 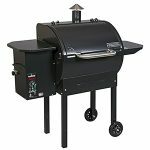 You will likely struggle to move a brisket or a whole turkey around your smoker if you only use a pair of tongs, but they can be great for smaller cuts of meat and for moving and rearranging coals. We’d recommend using a combination of gloves and tongs to give you the most flexibility and protection. 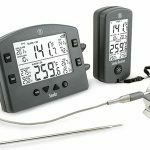 We have a full rundown of the most essential accessories for grilling and smoking where you can find many more products that will make your barbecue better, including coal starters, thermometers and even pork pullers. With a huge range of heat resistant gloves on the market it can be difficult to choose a pair that’s right for you. 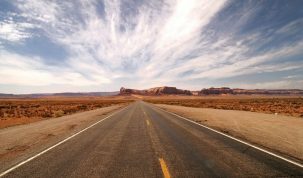 We hope that our guide has helped you to clear up any pressing questions you might have and gives you options without having to spend hours searching through hundreds of reviews. If you need additional help then please comment or contact us through our Facebook.